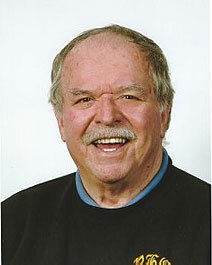 Robert Knuckle is a Canadian educator and writer. Knuckle was born and raised in Windsor, Ontario. He received his B.A. from the University of Windsor. Knuckle earned his Masters of Education from the University of Toronto in 1968. He served as an English and Latin teacher and a vice-principle with the Hamilton Board of Education. In 1984, Knuckle wrote a play about the NFL coach Vince Lombardi, titled I Am Not a Legend. The play was performed around the world and as a CBC Radio play for which he won an ACTRA Award. Knuckle voiced the role of Lombardi for the radio performance. He would also play the role of Lombardi in a movie adaptation of the play, which aired on ESPN in 1986. He began a full-time career as a writer in 1992. Knuckle’s writing focuses on true crime and accounts of the Royal Canadian Mounted Police. His novels include The Flying Bandit: Bringing Down Canada’s Most Daring Armed Robber (1996), A Master of Deception: Working Undercover for the RCMP (2006), and The Mayerthorpe Story: From Ambush to Aftermath (2009), a best-seller about the murder of four RCMP officers in 2005 by James Roszko. The author resides in Dundas, Ontario, with his wife. They have four children and seven grandchildren. Associated Press. “TV Cameras Swing into Action For Super Sunday”. The Times News. Jan. 24, 1986. Web. Accessed Feb. 13, 2018. Knuckle, Robert. A Master of Deception: Working Undercover for the RCMP. General Store Publishing House. 2006. Knuckle, Robert. The Mayerthorpe Story: From Ambush to Aftermath. General Store Publishing House. 2009. “Robert Knuckle,” Burnstown Publishing House .Web. Accessed Feb. 13, 2018. Van Vugt, Harry. “Human side of gridiron legend”. Windsor Star. Jul. 20, 1984.